About 99% off the pants I own are jeans. 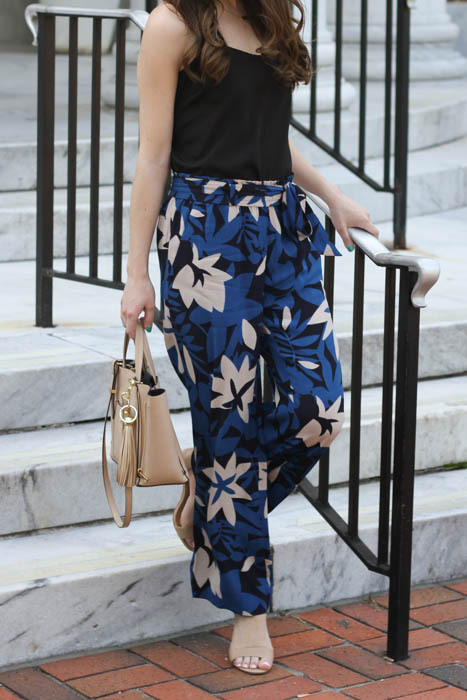 But, when I saw these fun printed pants from Loft, I thought it would really interesting to try them out. They happened to be on sale the next time I stopped into the store, so I couldn't resist. I plan on wearing them to go out, and I think they could be work appropriate with a nicer top or jacket, but they would be a little much for my office. They are really light, which I wasn't expecting, but they are perfect for warmer temperatures. The only thing I don't really like about them is I ironed them right before I got in the car to take these photos, and they wrinkled very quickly. I still think they are so fun though! They are too cute!! 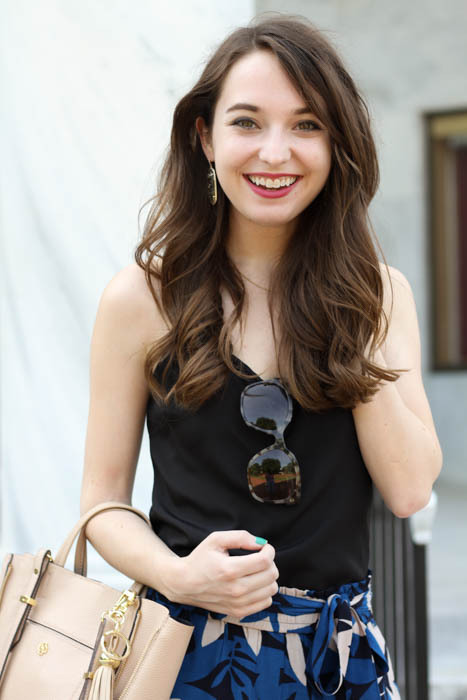 I love the tie belt on them too! 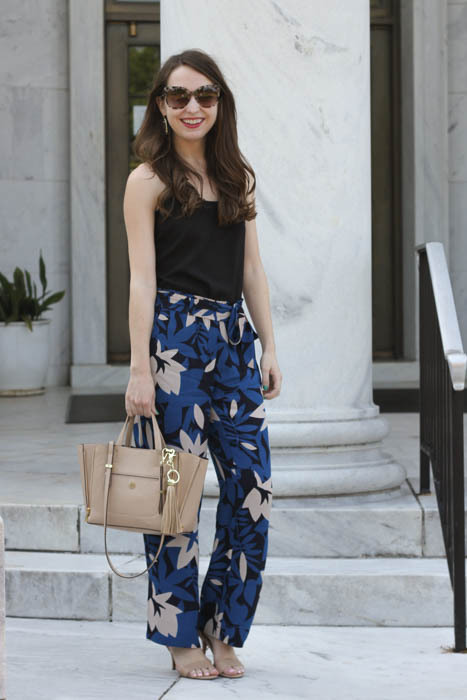 I love printed, comfy pants! These are so cute! 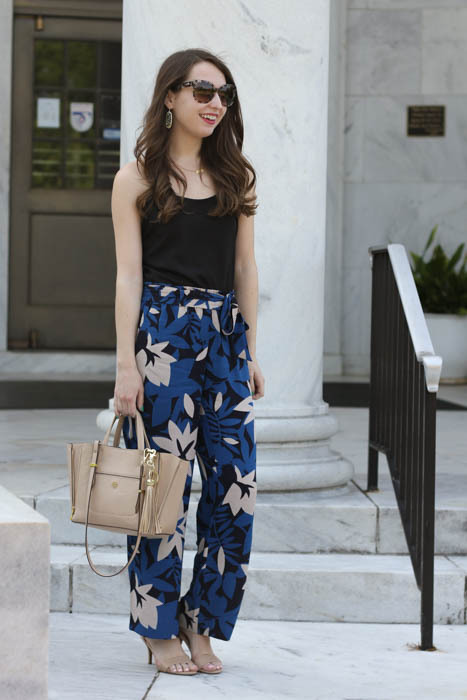 Totally crushing over your pants and your sandals! 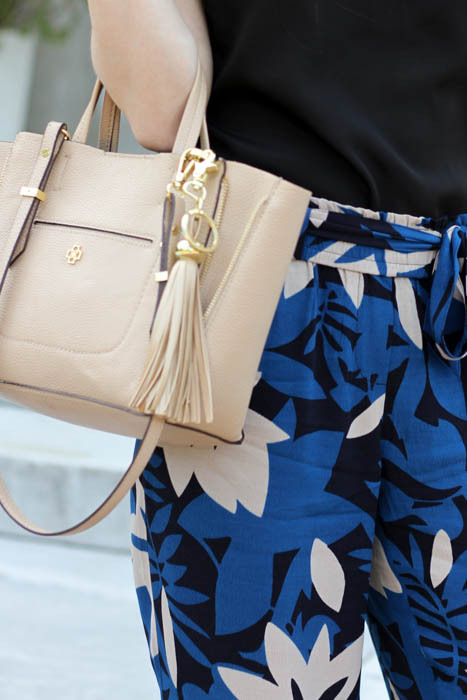 Love the print, it feels so fun and perfect for summer.